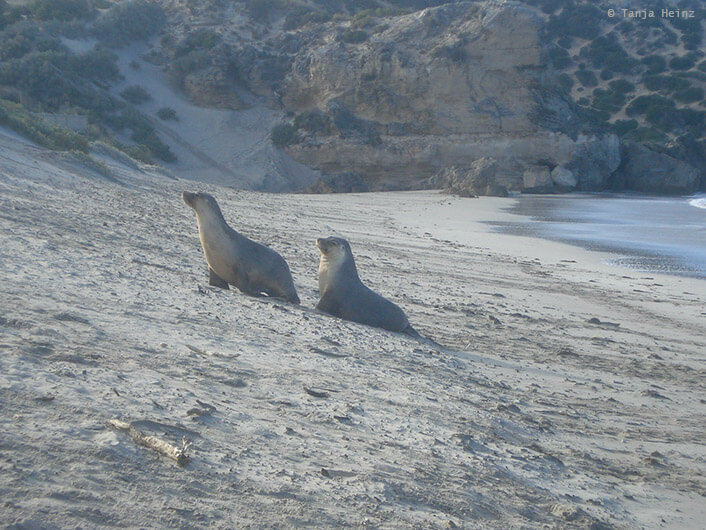 One of my highlights on Kangaroo Island were definitely the Australian sea lions in the Seal Bay Conservation Park. Visitors of the Seal Bay Conservation Park are allowed to observe the Australian sea lions together with a ranger. 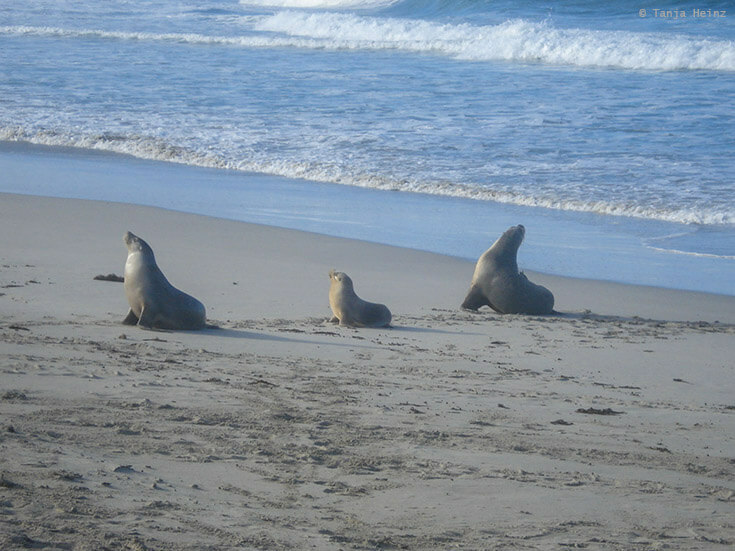 When I was in the Seal Bay Conservation Park I was so lucky, because the animals were so lively and cheerful. Unfortunately, the population of these animals decline in numbers. 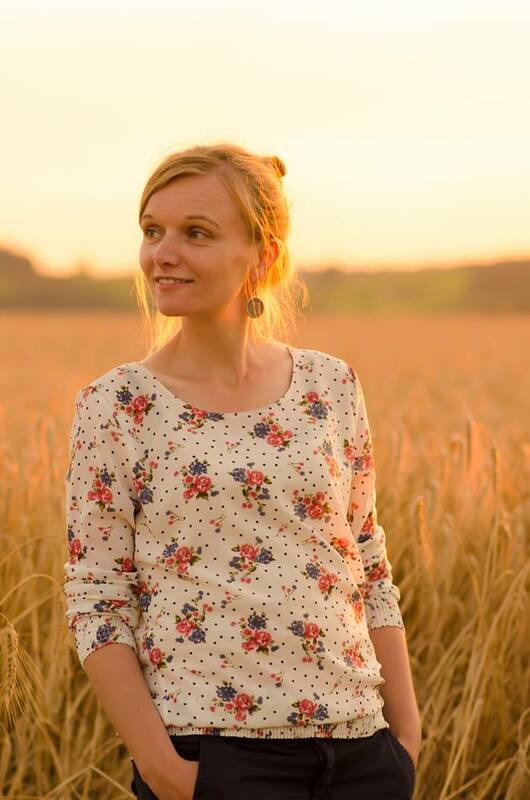 Recent research is focused on the question why there are fewer and fewer animals of them. 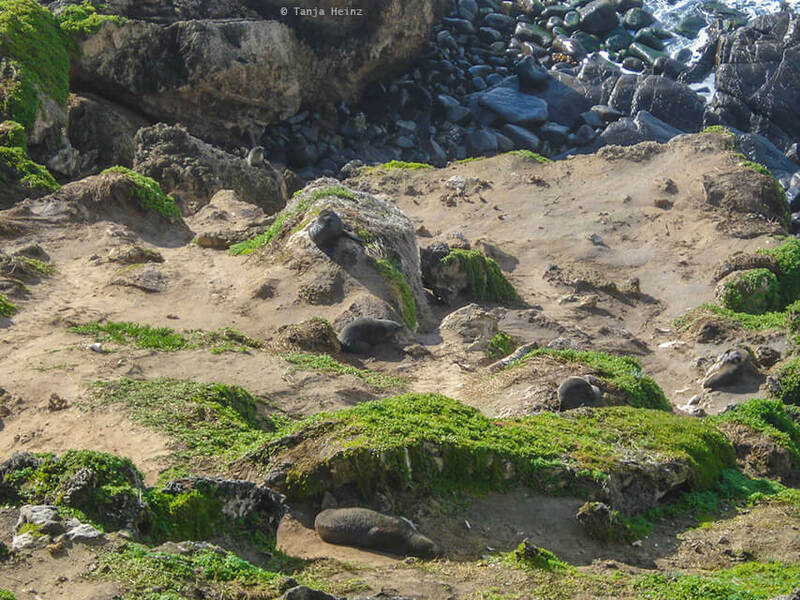 At the Seal Bay Conservation Park they use the entrance fees of tourists for the protection of Australian sea lions. The rangers tell the visitors not to approach the animals. Every visitor has to keep a certain distance from the Australian sea lions. The animals do not have any direct contact with humans except when they get a chip. The chips are useful as this way researchers obtain more information about the number of Australian sea lions in a colony, but also get to know more about their social interactions. 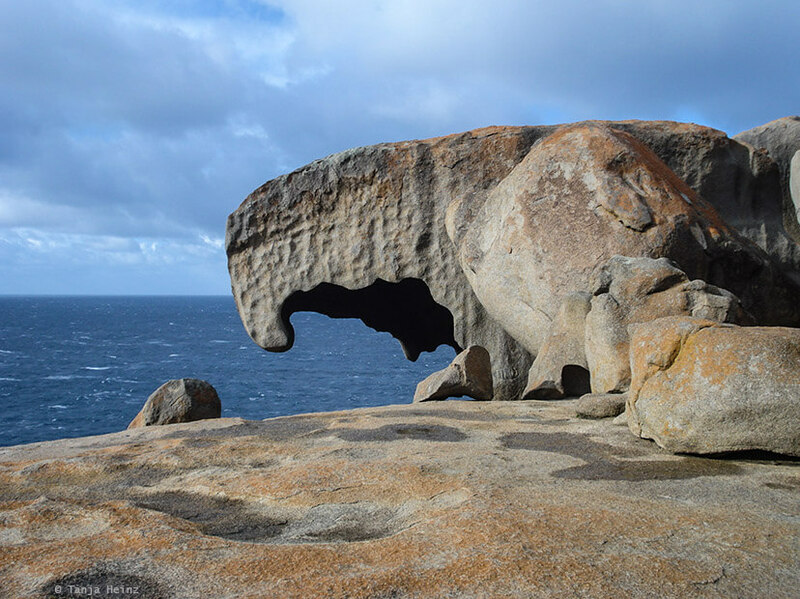 The Flinders Chase National Park is especially known for its rock formations. 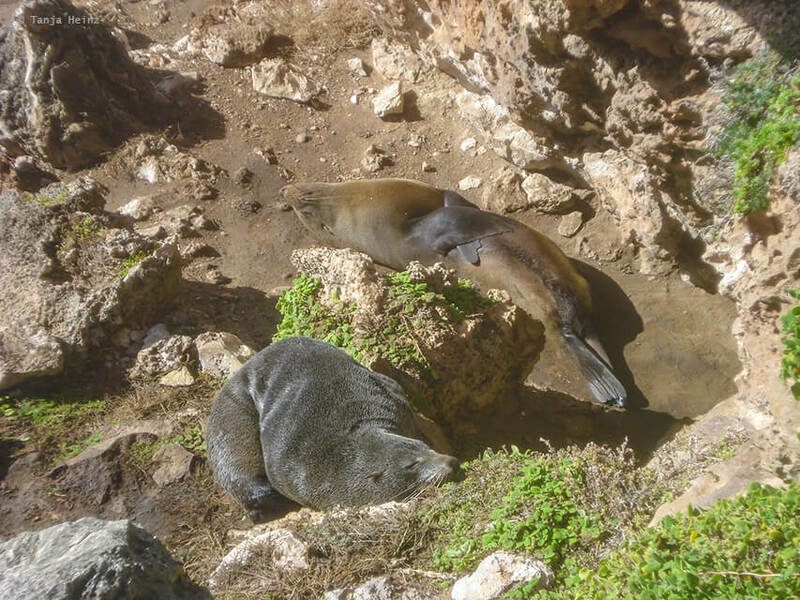 However, the Flinders Chase National Park offers as well the possibility to observe New Zealand fur seals in their natural environment. 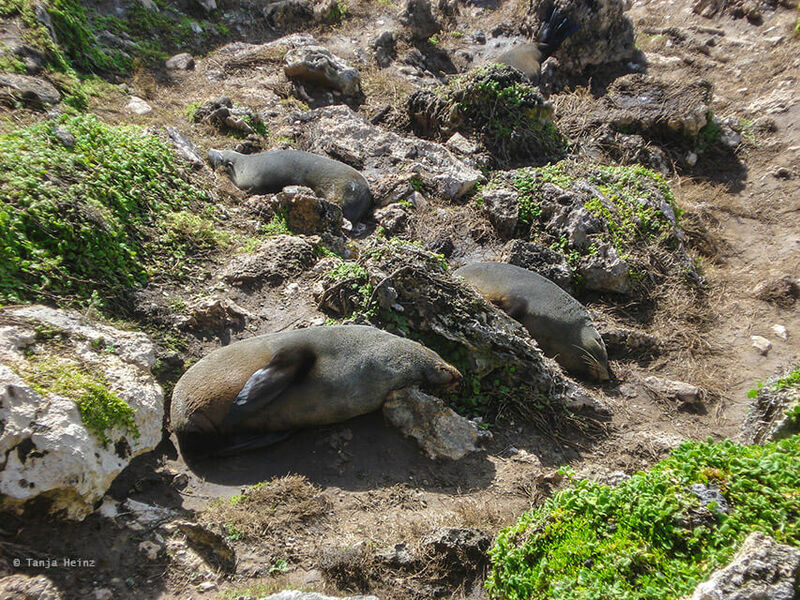 In contrast to Australian sea lions, the population of New Zealand fur seals does not decline in numbers. The Australian fur seal is not endangered. Therefore, visitors can observe the animals without a guide. The New Zealand fur seal is also known as South Australian fur seal as this species lives as well in Southern Australia like on Kangaroo Island. On Kangaroo Island I was not lucky to observe little penguins in their natural environment. We only saw a little penguin for a very short moment. The little penguin appeared for one second and hid again. However, we just had to accept it. With wild animals you never know when they will appear and when not. They are free to decide! With wild animals you not only need a lot of patience, but also a lot of respect and understanding for the animal world. In general, little penguins can be observed on Kangaroo Island at the evening or at night. That means after sunset when they go back to their nesting sites. If you see a little penguin, do not use any bright torch or flashing cameras as this light can damage their eyes. There are also less known animals, like for example Cape barren gooses on Kangaroo Island. This bird has shown up when we were eating at a picnic area. 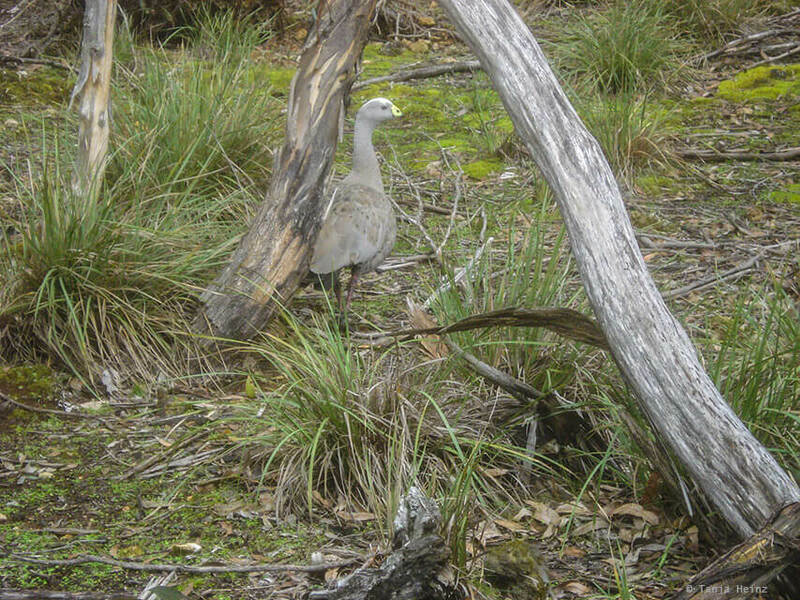 Maybe this Cape barren goose was just waiting for us to leave a little bit from our snacks? However, as the bird was less successful maybe because of that the Cape barren goose left again quickly. Echidnas are very special animals because they are egg-laying mammals. That means they are almost the only mammals that do not give birth to live young, but lay eggs. There is only one more mammal that lays eggs instead of giving birth to live young. That is the platypus. 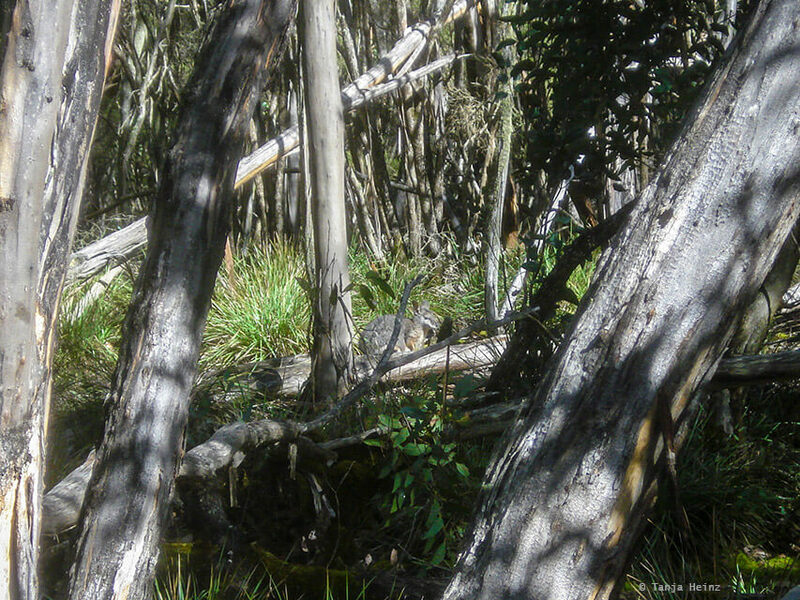 During my six-month-stay in Australia I hadn’t seen any wild platypus in the wild. With echidnas I was luckier. However, I saw only one and once an echidna in the wild. And this was on Kangaroo Island. 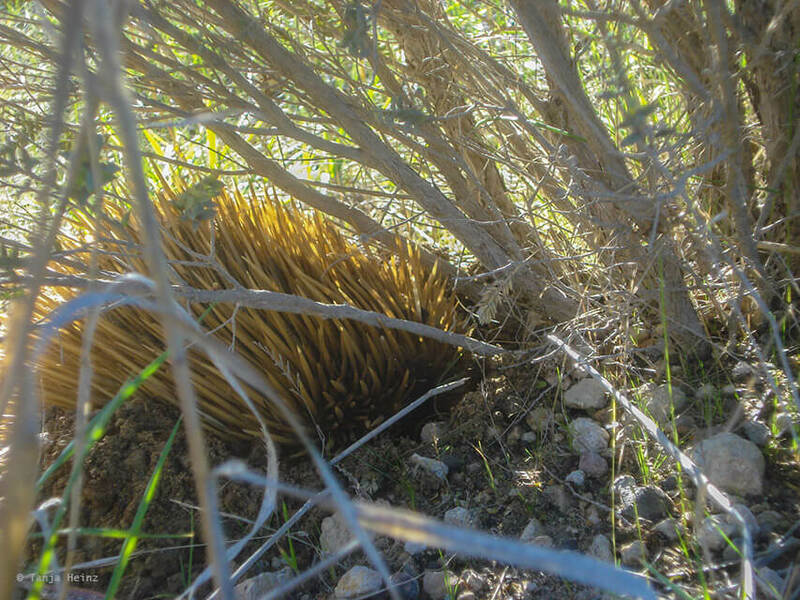 I was very happy when our tour guide spotted an echidna at the edge of the road. According to our tour guide there are many, many koalas on Kangaroo Island. However, where are they? 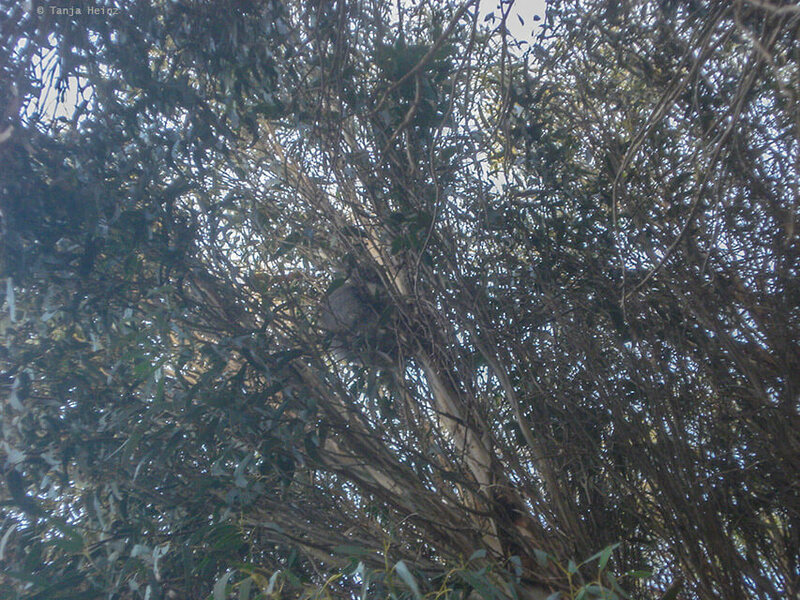 During my stay on Kangaroo Island I saw only one single koala sleeping in the canopy of a tree. 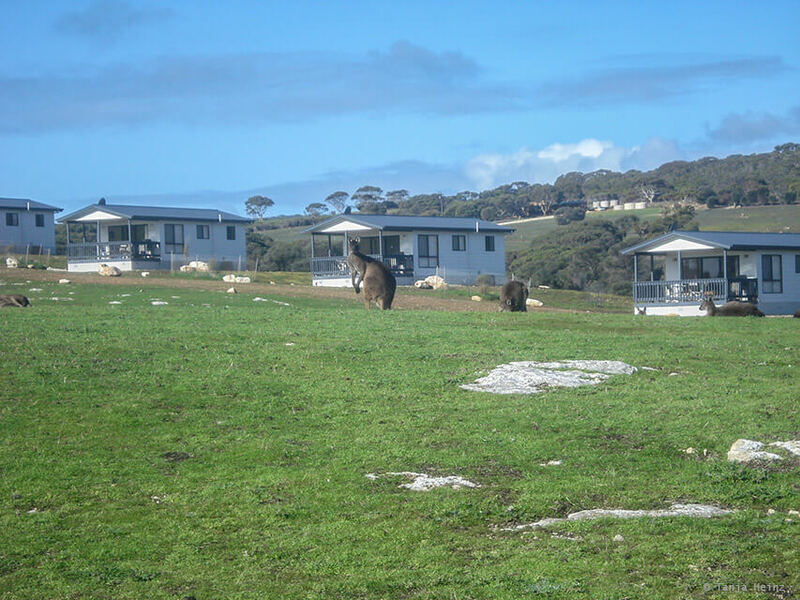 Our tour guide added that he very infrequently spots koalas on Kangaroo Island. Koalas, but also kangaroos are certainly one of the animals most people connect with Australia. However, visitors of Australia, but also local people, do not spot a koala frequently in their natural environment. Even local people sometimes see a koala rather in a zoo then in the wild. 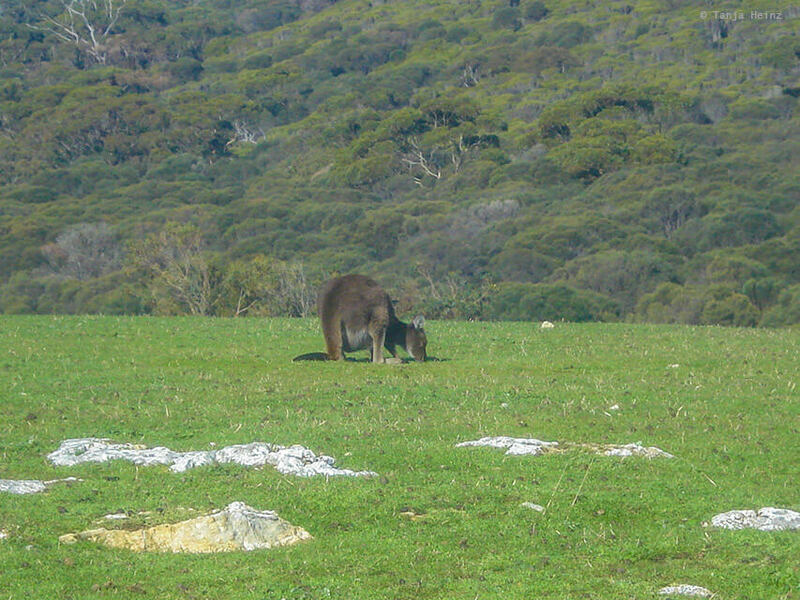 The only kangaroo species I observed on Kangaroo Island were tammar wallabies. They are one of the smallest kangaroo species and distributed on the Southern and Western part of Austrlia. 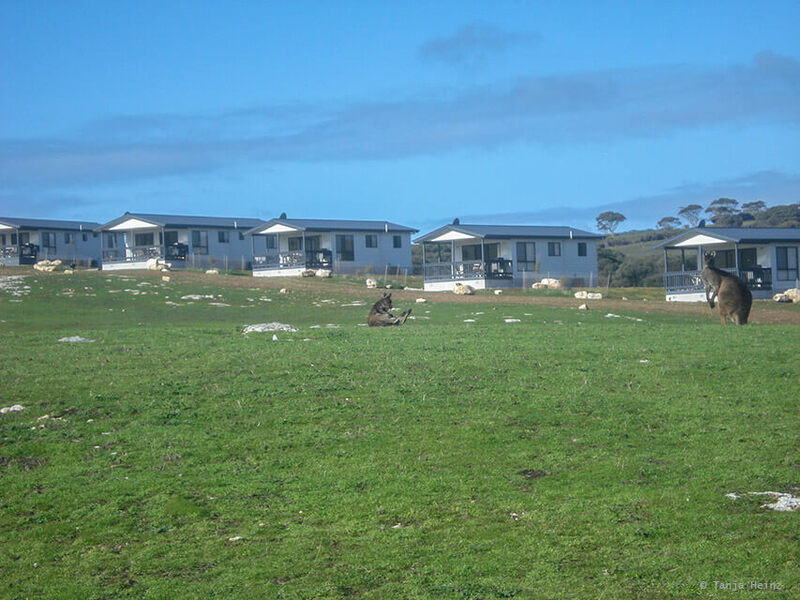 Tammar wallabies appear unaffected from visitors on open landscapes on Kangaroo Island. However, usually they stay close to shrubs or forests where they can hide immediately. Tammar wallaby populations in Australia are larger in regions where there are no predators like foxes or cats or where the predator population is controlled. 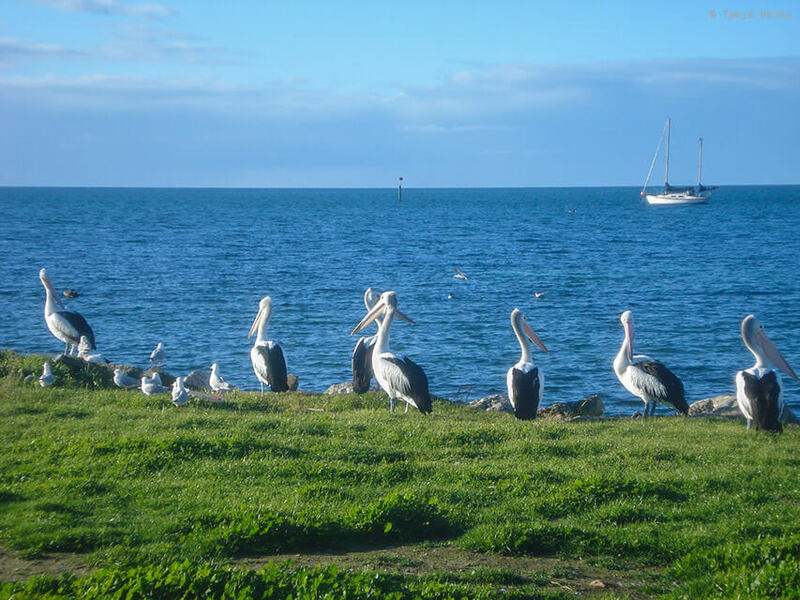 The “pelican man” is probably the most photographed person on Kangaroo Island. 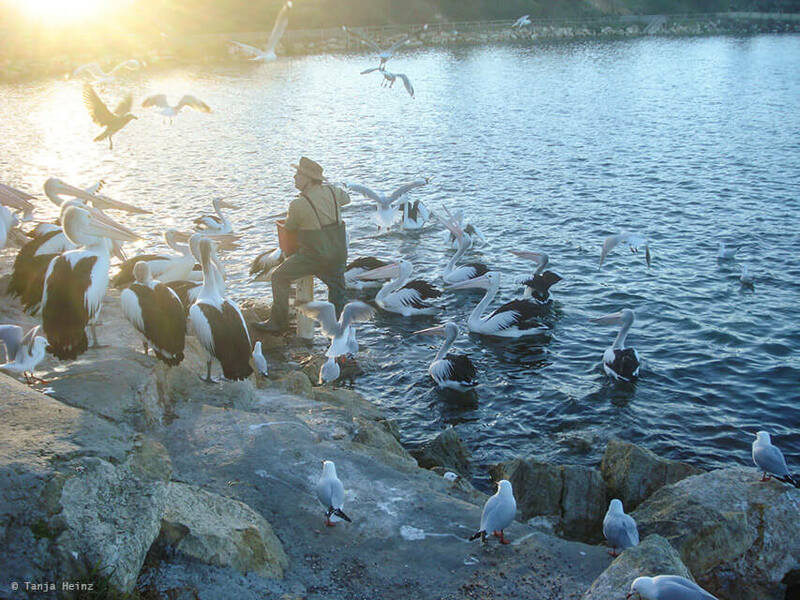 Every day at five o’clock in the evening he appears with a bucket full of fishes to attract flock of pelicans. The “pelican man” not only feeds the birds, he also provides more information about pelicans and other sea birds in an entertaining way. The pelicans are wild birds and do not rely on the food from the “pelican man”. However, the birds appear to enjoy this little additional treat. I observed cormorans like the little pied cormoran when arriving and departing from Kangaroo Island at Cape Jervis. They appeared to me numerous and rather inconspicuous when compared to the other animals on Kangaroo Island. 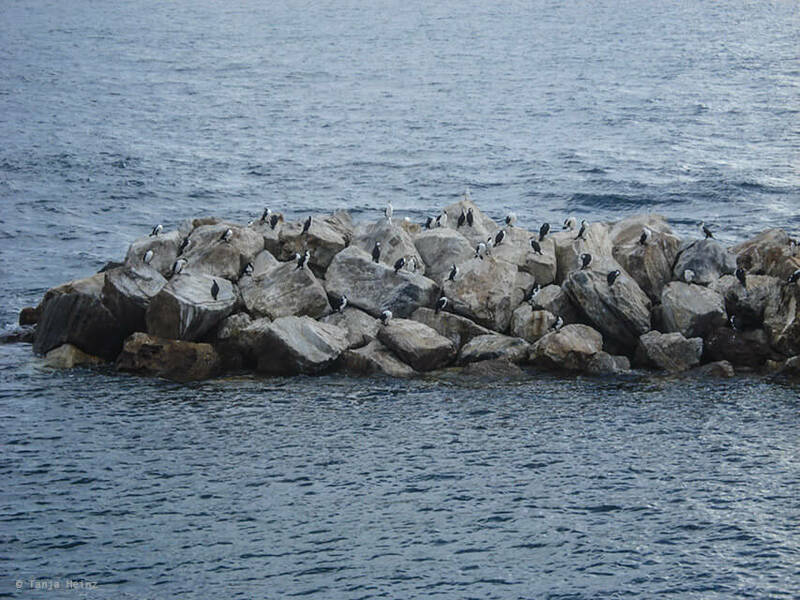 The little pied cormorant is widely distributed in Australia, and thus, can be observed not only on Kangaroo Island. 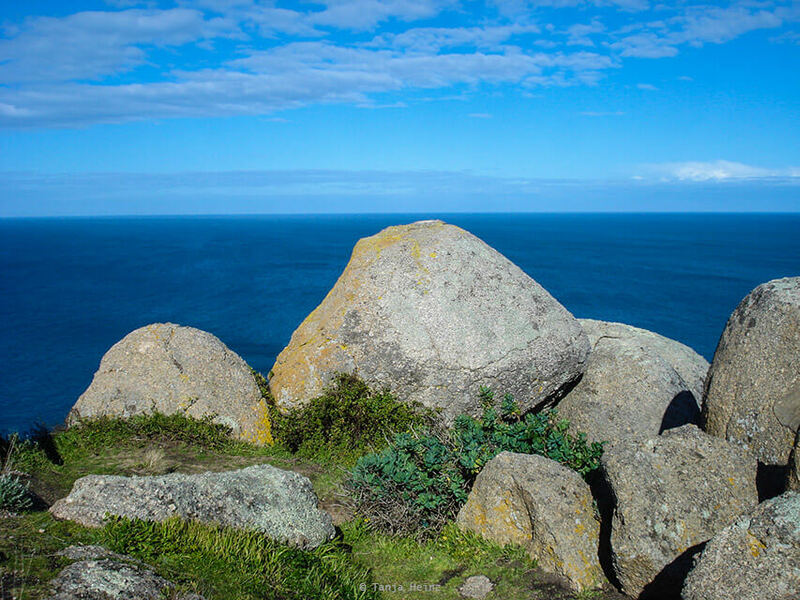 Kangaroo Island is worth a visit not only for its animal world, but also for its beautiful landscapes. 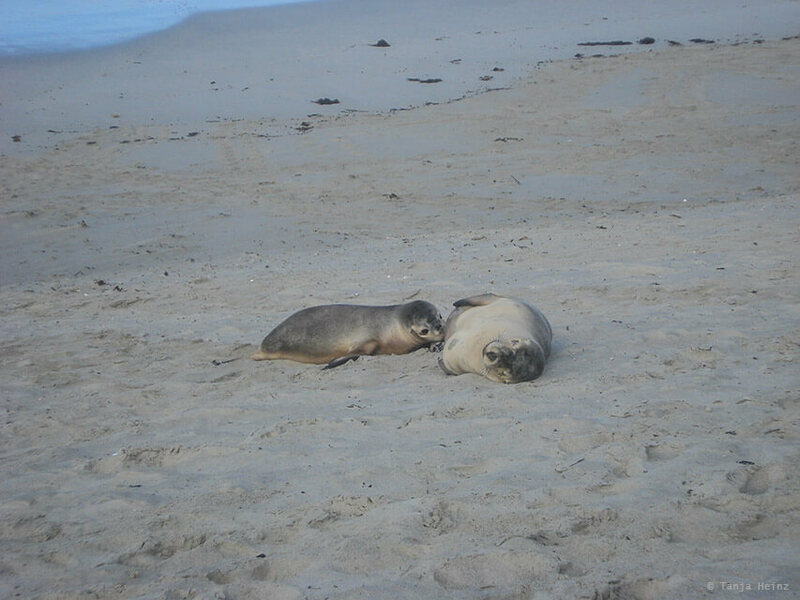 On Kangaroo Island you forget the rush of daily life. Kangaroo Island is a rather quiet place. Beautiful walks on beaches or through the interior are highly recommended getting to know this wonderful place on earth. On Kangaroo Island I unfortunately missed Southern right whales. 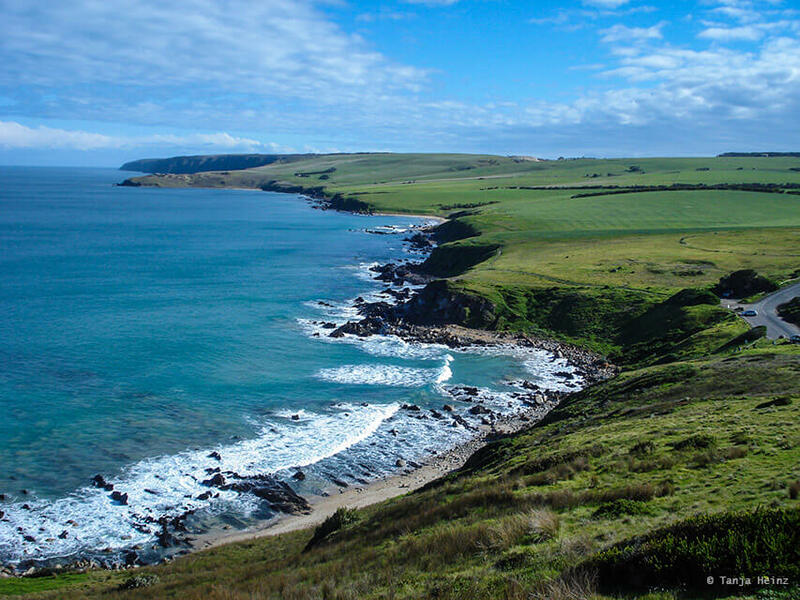 Before we went on the ferry to Kangaroo Island, we stopped at the Fleurieu peninsula which is close to Cape Jervis. Bad luck for us. 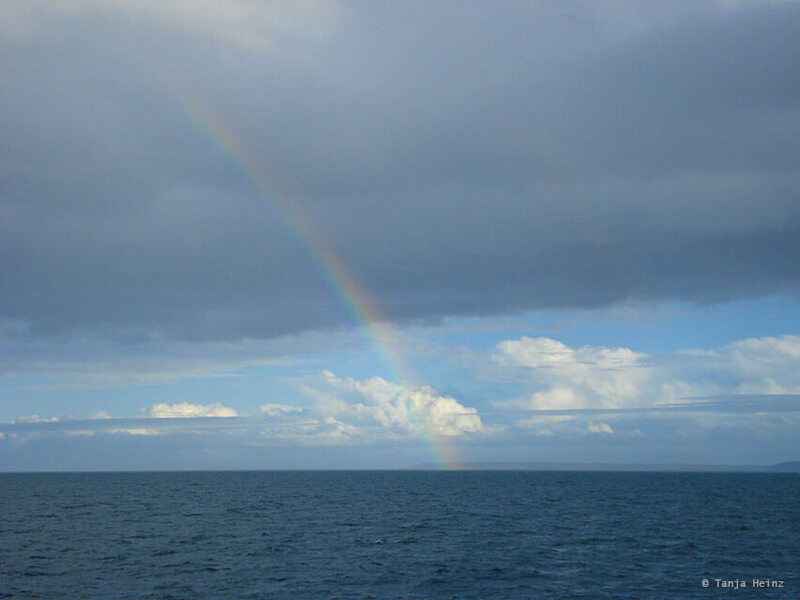 The Southern right whales did not appear. I would have enjoyed waiting a little bit longer. As whale watcher you need a lot of time and patience. As I travelled with a group to Kangaroo Island, I had to leave the whale watching point. Nevertheless, I had wonderful days on Kangaroo Island.